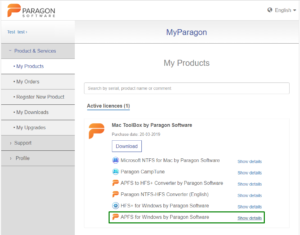 How can I activate products included to the Paragon Mac ToolBox bundle? 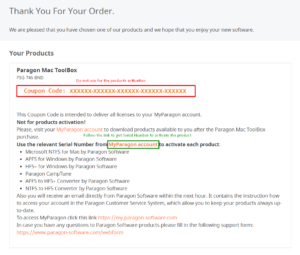 All products that are part of Paragon Mac ToolBox will appear in your MyParagon account after the purchase and receipt of a confirmation email with payment and order details. Please note the Coupon Code you’ve received after the purchase is not intended for software activation. 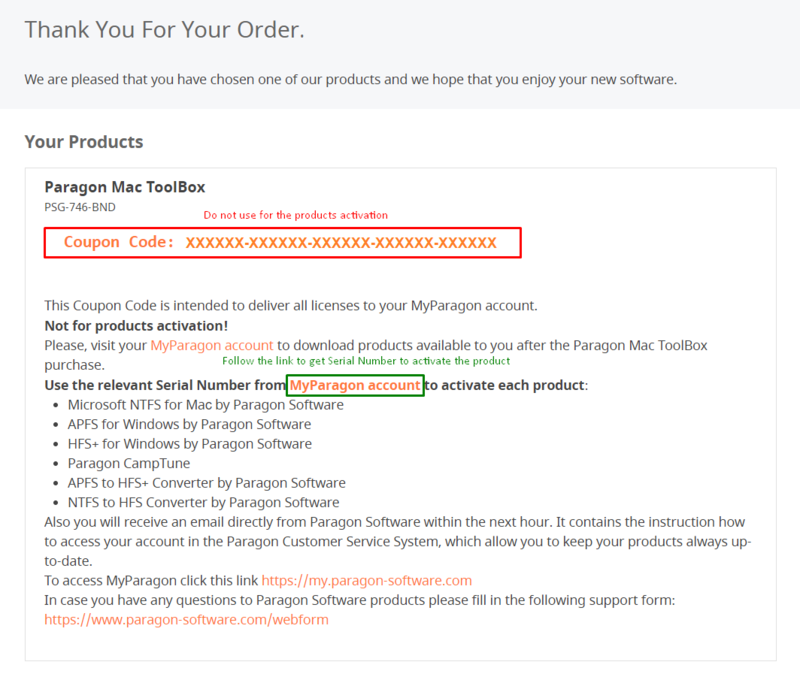 It is only used to deliver the Coupon Code related products to you MyParagon account and bind them all together. 1. 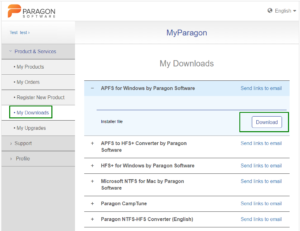 Log in to your MyParagon account with the E-mail address what have used to purchase the bundle. 2. 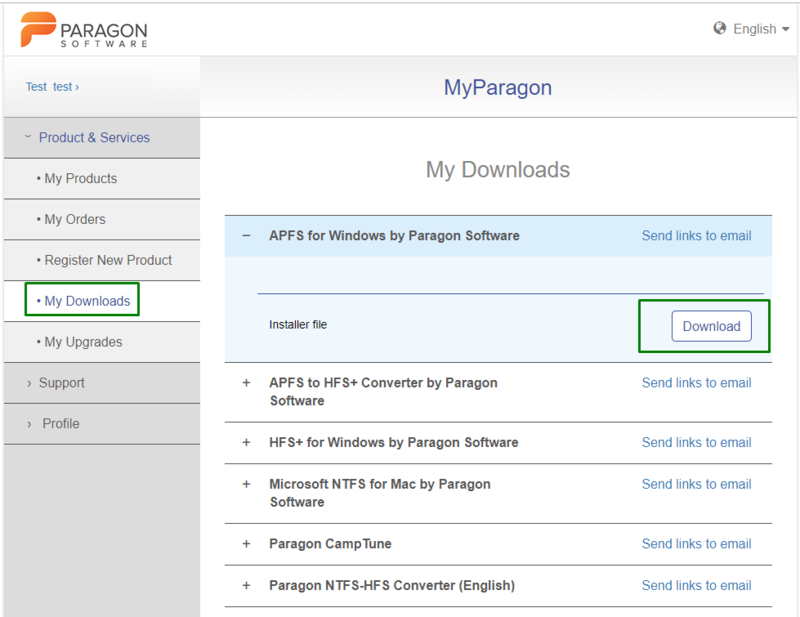 Go to “My Downloads” to download the installer file of the product needed. 3. 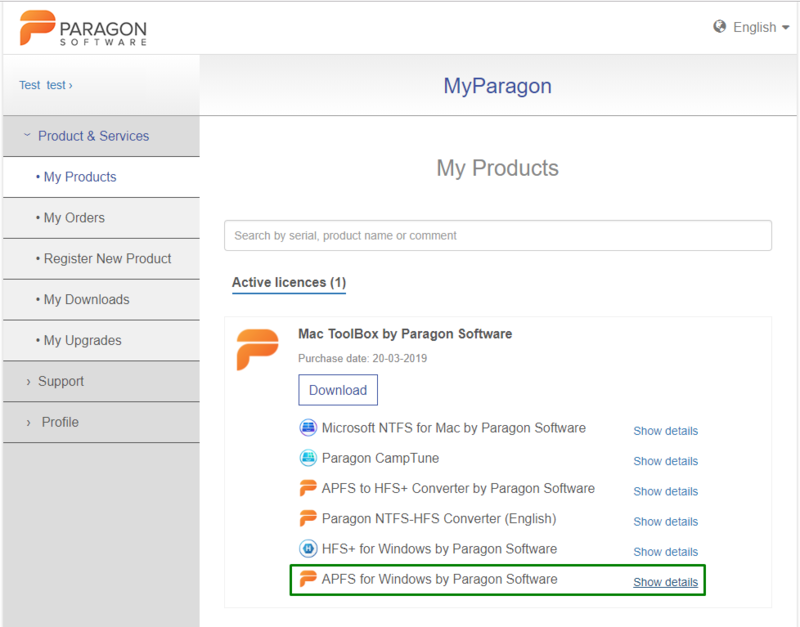 Switch to “My Products” and find the required software. 4. Click on “Show details” to list the Serial Number which is designed to activate the product. 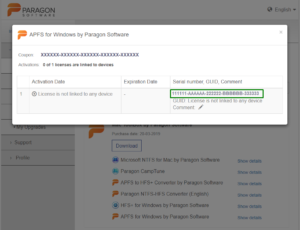 All information on serial numbers, product documentation and more can be always found in your MyParagon account. If you will encounter any problem upon following above steps, please contact our support directly by sending an e-mail to support@paragon-software.com. Usually we reply within 1-3 days from ticket submission, depending on load. Note that you are also able to submit ticket, track your tickets status and receive replies via MyParagon account Support -> View my requests tab. Sometimes, when the investigation requires additional resources, we need more time to come up with a proper solution for you.